Belykh was born in 1923 in the village of Krutets of Orlov’s region. During the Second World War he was on the front. After the war he came back to Moscow and started to study at the art school. In 1958 he graduated from Moscow State Institute named after V.I. 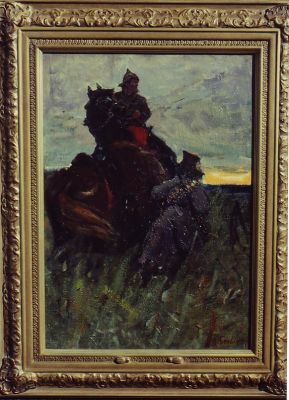 Surikov. V. Nechitailo and F. Reshetnikov were his professors. the art department in the Pedagogical Institute of Kostroma. 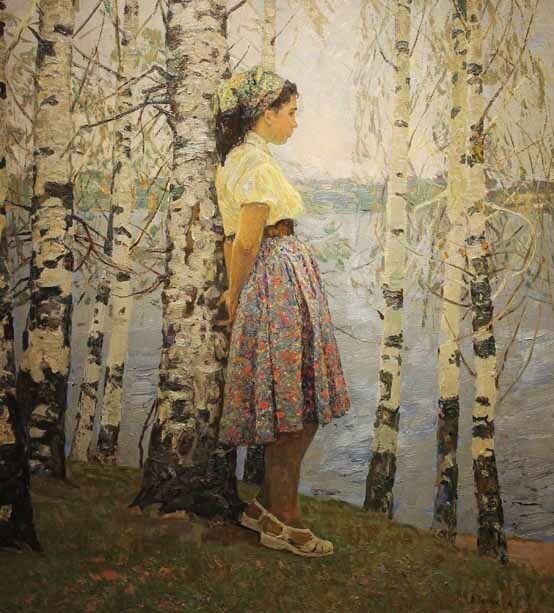 In 1965 Belykh became a Honoured Artist of Russia. Since 1947 he has participated in art exhibitions. In 1975,1983,1993,1994,1998 he had his personal exhibition in Kostroma. In 1975,1979,1983 in Moscow and in 1985 in Leningrad. 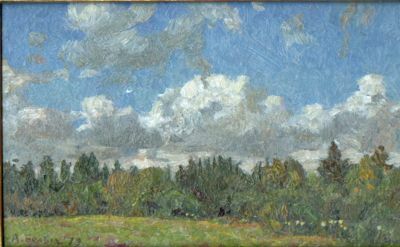 Belykh likes to paint portraits, landscapes and paintings on historical subjects. His works are in museums of Kostroma, Irkutsk, Ryazan, Tula and in the Gallery of realistic art in Germany. Art lovers from Germany, USA, Great Britain, Finland and Italy have bought his works for their private collections.